Live performance by blues musician B.B. 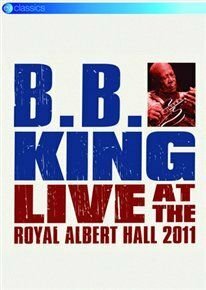 King at London's Royal Albert Hall on June 28th, 2011. Performing tracks such as 'I Need You So', 'All Over Again' and 'The Thrill Is Gone', the influential guitarist is joined on stage by fellow musicians including Ronnie Wood, Mick Hucknall, Susan Tedeschi and Slash.